The August All Hands Meeting was one filled with tradition, promotions, and awards of the best kind. There was a Change of Command at Squadron 188 this past week. This is a CAP tradition that occurs every three years and it represents a formal transfer of authority and responsibility for a squadron from one commanding officer to another. Capt Jeff Ironfield passed the colors to his deputy commander Capt Noel Luneau signifying this change of command. During Capt Ironfield's tenure the squadron saw an increase in its membership, the number of Emergency Services ratings held by its members, and the number of SAREXs hosted by SQ 188. All of these accomplishments helped SQ 188 earn the California Wing 2011 Squadron of the Year award. Capt Luneau began his role as SQ 188 commander by thanking Capt Ironfield for his contribution to the squadron and presenting him with a collage of photos of some of the CAP activities Capt Ironfield participated in. Capt Ironfield’s next duty assignment will be that of California Wing Group 2 Deputy Commander and all the members of Squadron 188 wish him the best of luck in his new role. Capt Noel Luneau assumes his role as new Squadron 188 commander with a squadron that’s poised to repeat many of the same successes it had in 2011. His first order of business was announcing his appointment of Capt Michael Allen as the new Deputy Commander, a role previously held by Capt Luneau. Capt Luneau and Capt Allen played key roles in the squadron’s successes and they bring years of CAP experience. The members of SQ 188 look forward to their tenure as the new leaders of the squadron. In addition to the Change in Command ceremonies, several members received promotions or awards for their outstanding service and accomplishments. 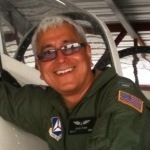 Capt Noel Luneau: Awarded the CAP Senior Pilot Rating. This rating is presented to members who have been an active CAP pilot for a minimum of 3 years and logged 1000 hours of pilot in command time. 1st Lt David Dunham: Promoted to Capt & Awarded the Grover Loening Award. This award is presented to senior members who successfully complete the third level of the professional development program. 1st Lt Michael Allen: Promoted to Captain. A very special award was presented this evening as well. Capt Michael Allen received word from Group 2 Commander Major Steve Renwick that he would soon be receiving the Certificate of Recognition for Lifesaving. Capt Allen received the award for saving the life of a cadet choking during dinner. His quick thinking and action saved a young life and a family from a tragic outcome. You can find Capt Allen’s account of this event on the July 6, 2012 post of The Logbook. Kudos Capt Allen! The squadron would like to thank The English Rose of San Carlos for the food they donated to the squadron for the evening’s ceremonies. The cookies and sandwiches were a big hit with crowd and quickly disappeared.